Ok everyone is finally moved but still need to post in classifieds. 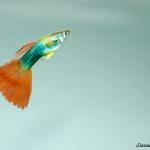 I have about 16 guppies and a molly in a new clean 10 gallon need to get rid of about half+ asap. I have about 20+ multies in my 20 long they are MUCH happier also rehoming about half, luckily everyone is now happy and healthy (: my multies have become so much more active and brighter so fun to watch them.